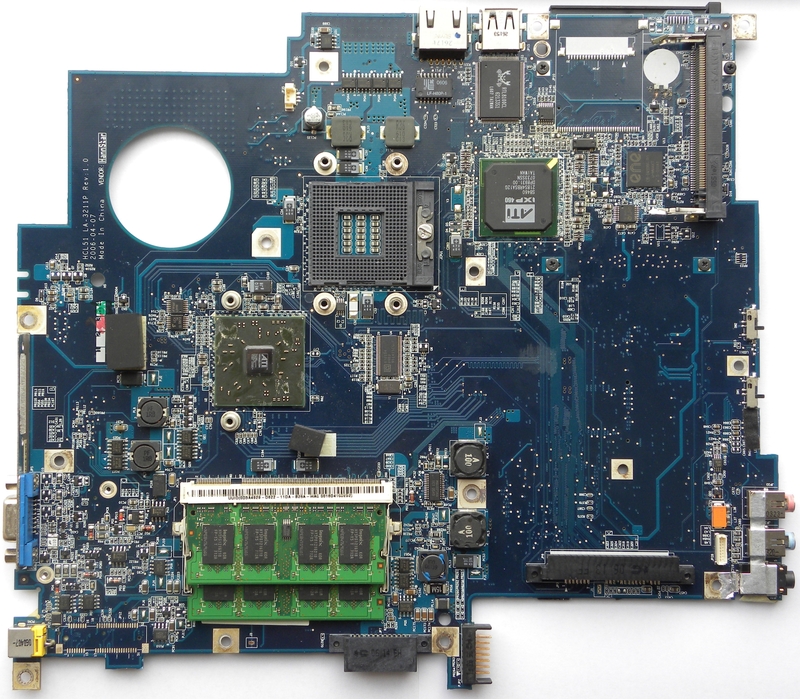 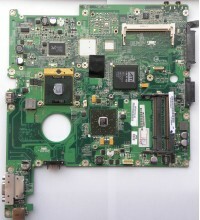 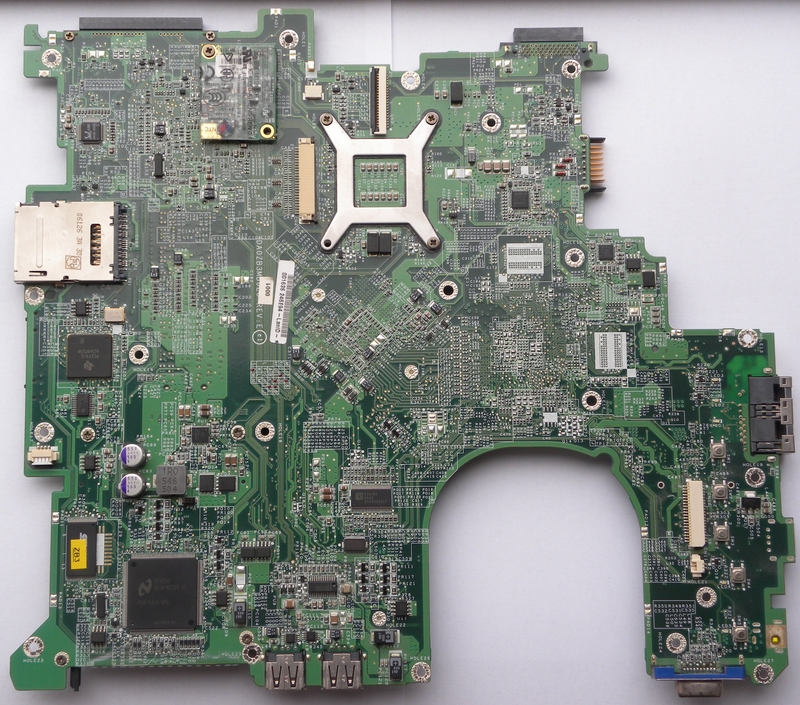 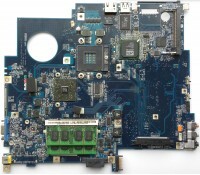 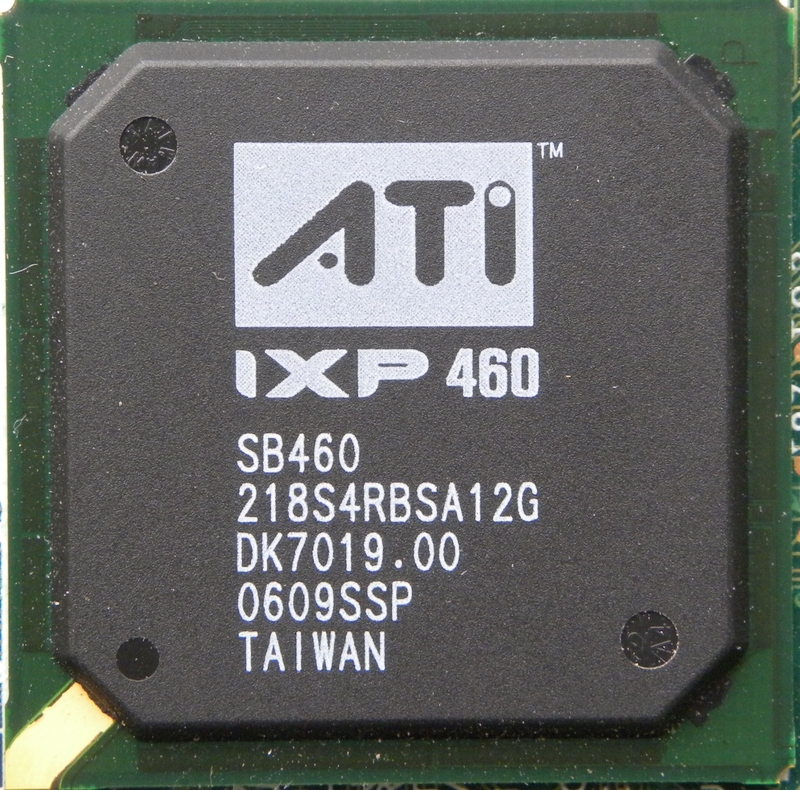 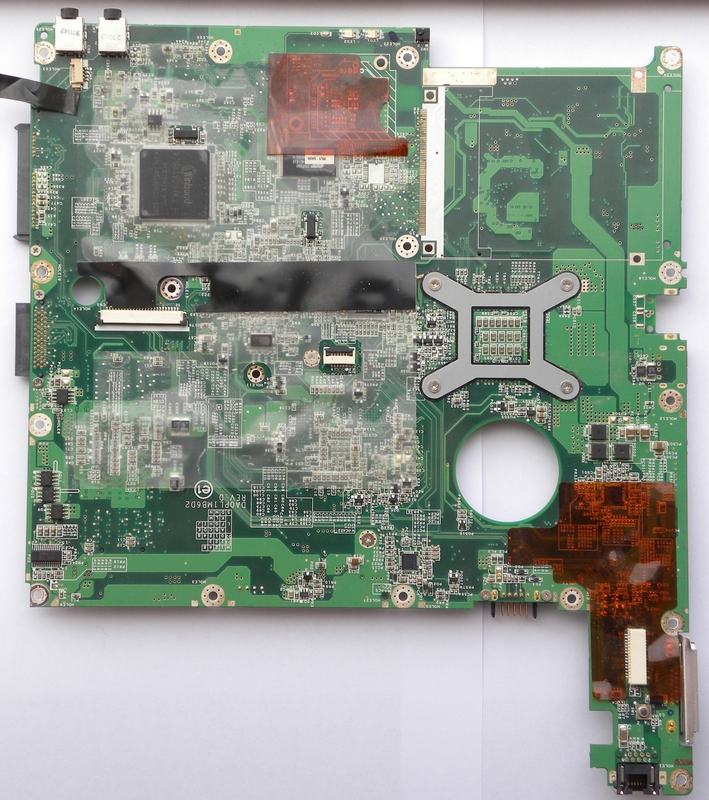 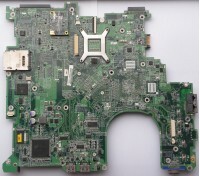 Modernized version of X200M chipset. 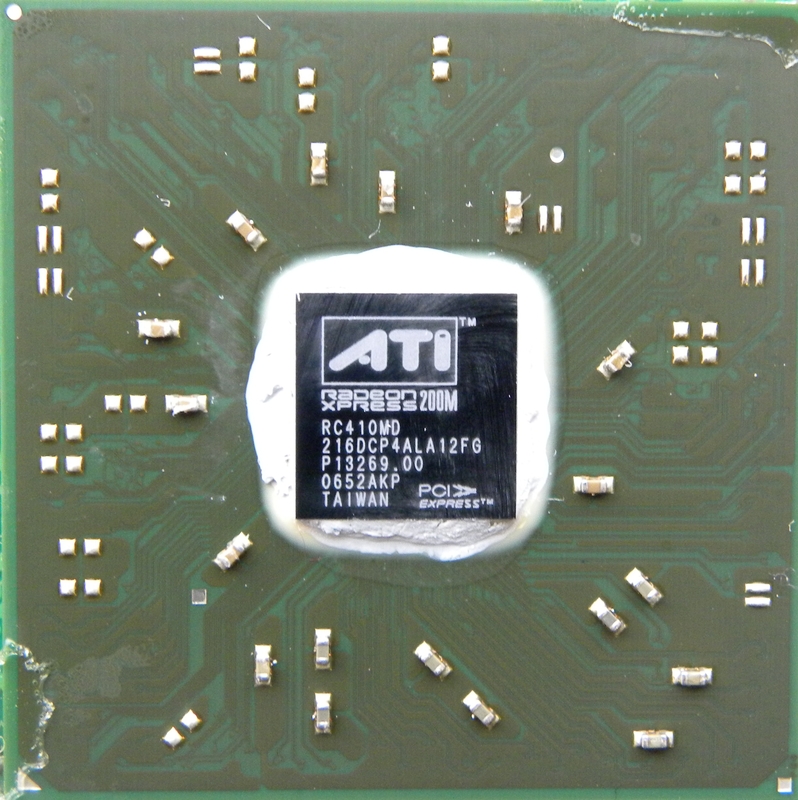 Mobile AMD/Intel chipset with integrated Radeon X1100/X1150 core. 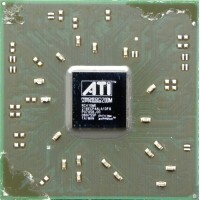 Introduced somewhere in 2006 in many variants. 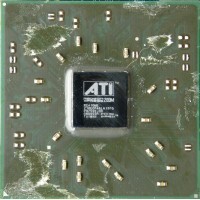 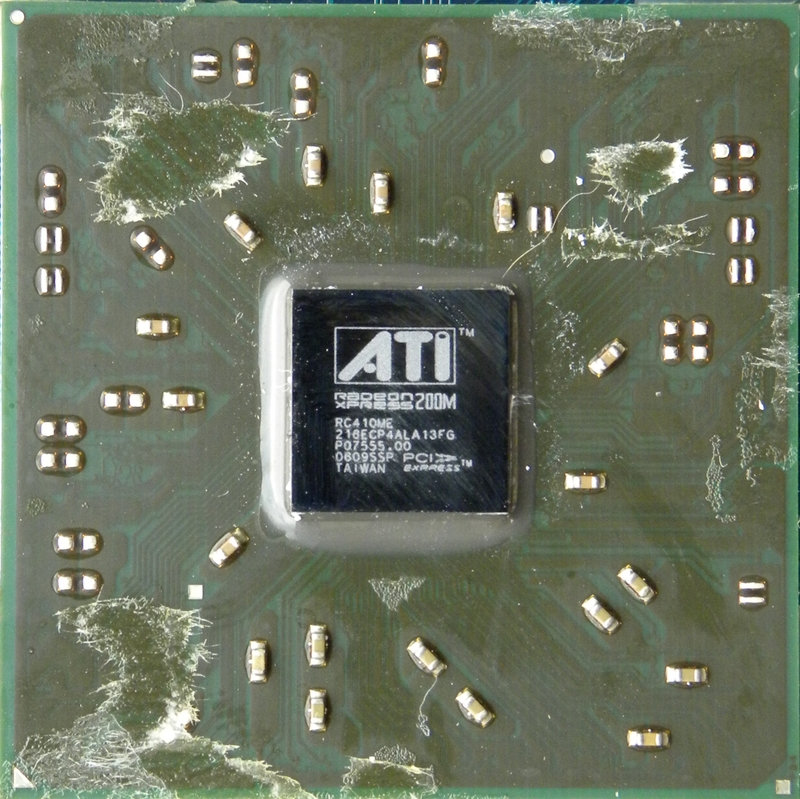 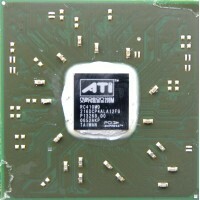 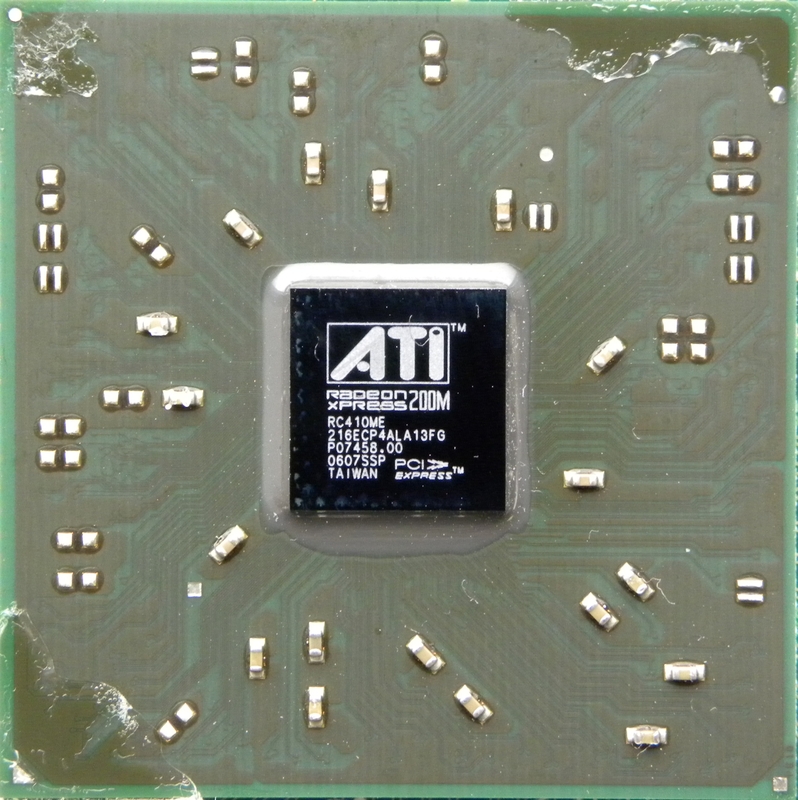 Paried with many southbridges, AMD SB600 is later SB used with AMD690 series chipsets. 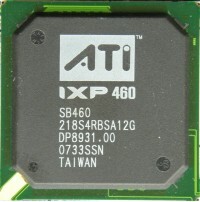 Most used southbridge is ATI IXP450/460, IXP460 supports only PATA HDDs though. 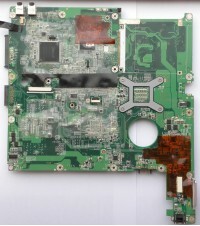 Sometimes ULi M1573 is used. 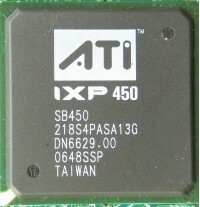 These chipsets supports Intel CoreDuo and Core2Duo generation (2006-2007 variants) and AMD Athlon/Turion64 X2 CPUs. 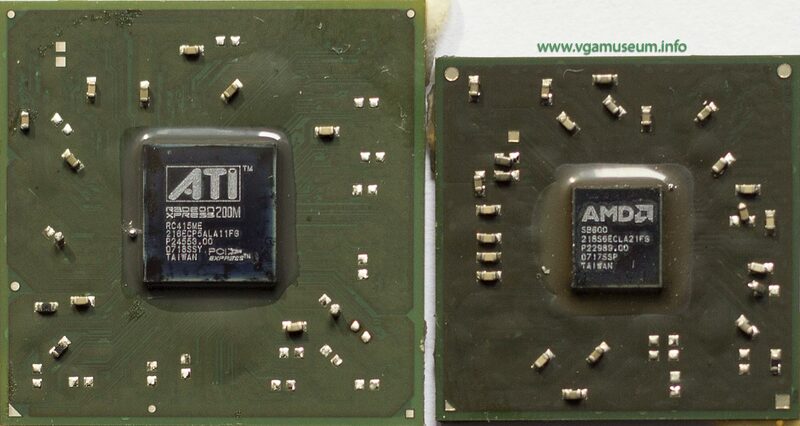 Newer drivers renamed X200M to Xpress X1100/X1150. 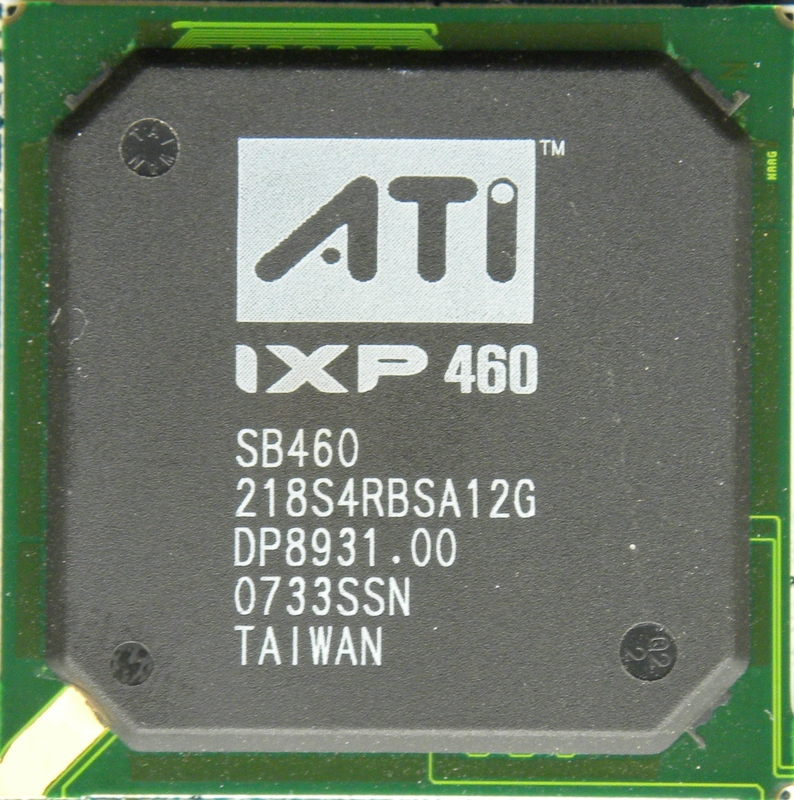 Packard Bell Argo C - ATI RC410MD variant, GPU is downclocked to 235MHz, Pixel and Texel fillrate is 472M/s, ATI IXP 450 has SATA support. 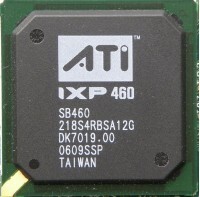 Acer TravelMate A2450 - ATI RC410ME variant, GPU is downclocked to 250MHz, Pixel and Texel fillrate is 502M/s, ATI IXP 460 has only PATA support. Acer Aspire 3661 - ATI RC410ME variant, GPU is downclocked to 250MHz, Pixel and Texel fillrate is 502M/s, ATI IXP 460 has only PATA support. 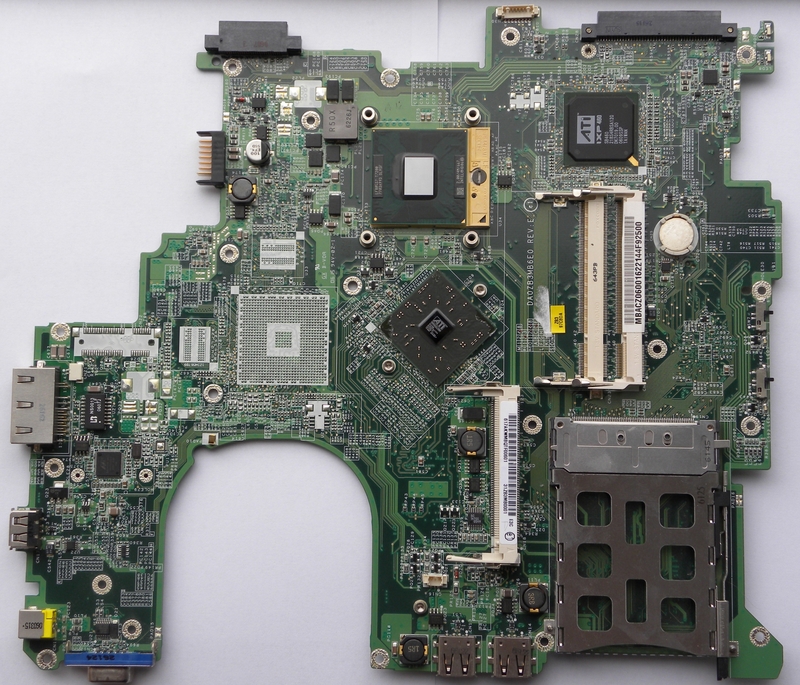 Asus X51R - ATI RC415ME variant, GPU is clocked to 300MHz, Pixel and Texel fillrate is 600M/s, ATI SB600 southbridge is newer one with SATA2 support, mostly used with newer AMD 690 series chipsets. 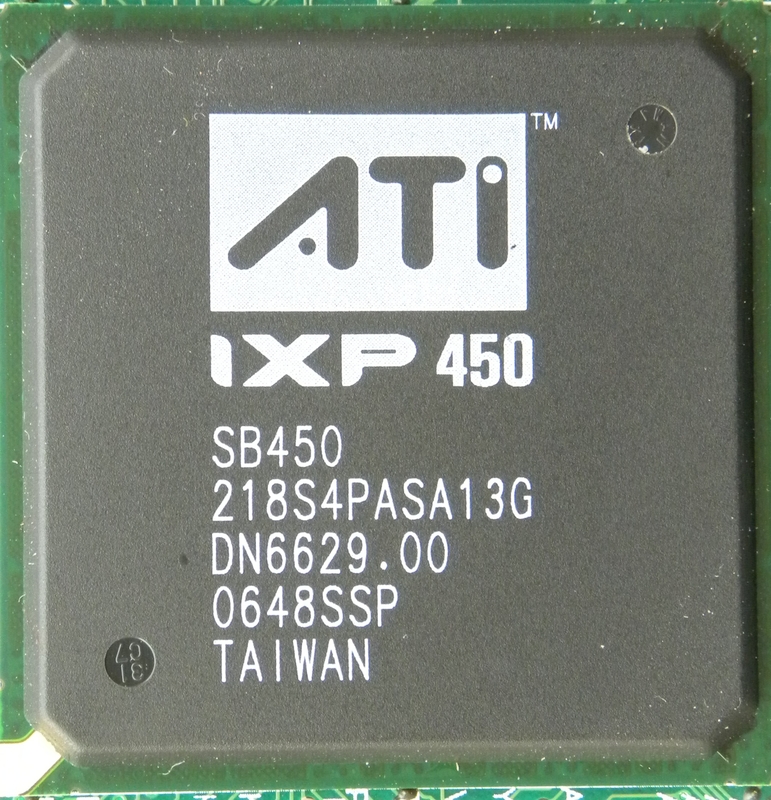 Intel version RC415ME from Asus X51R using DDR2 memory.